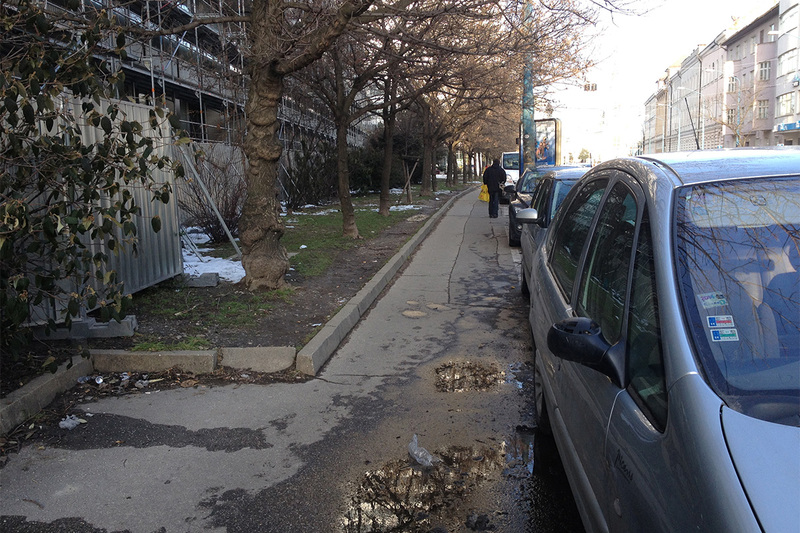 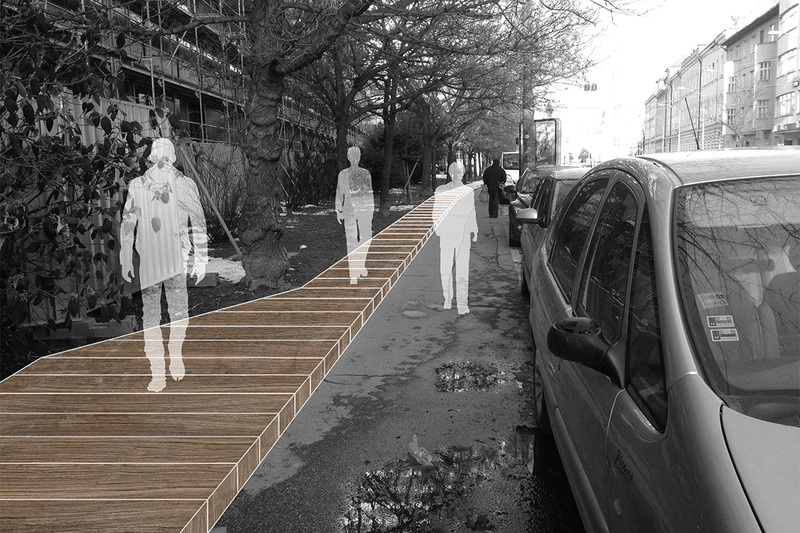 We propose a very simple and specific intervention in the Radlinskeho street. 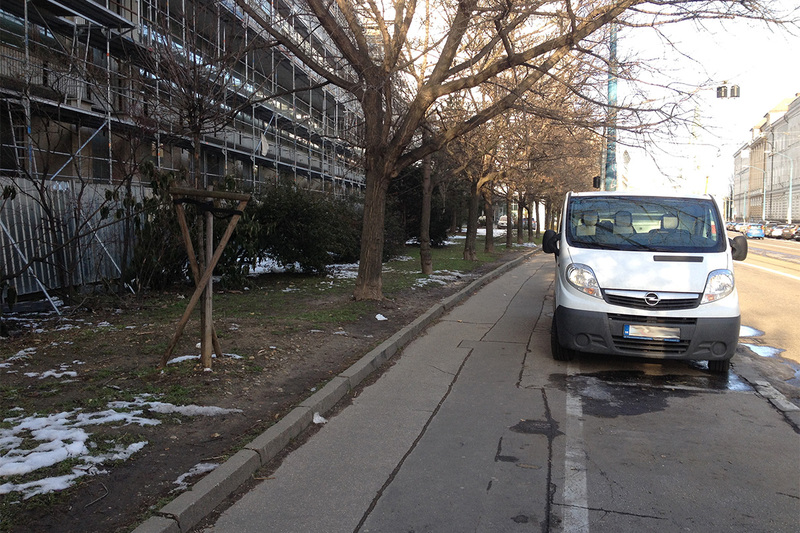 Due to cars parked along the roadside, the sidewalk is so narrow that whenever two or more pedestrians walk in opposite directions, one has to step over the curb onto a trampled path that has completely destroyed the grass there. 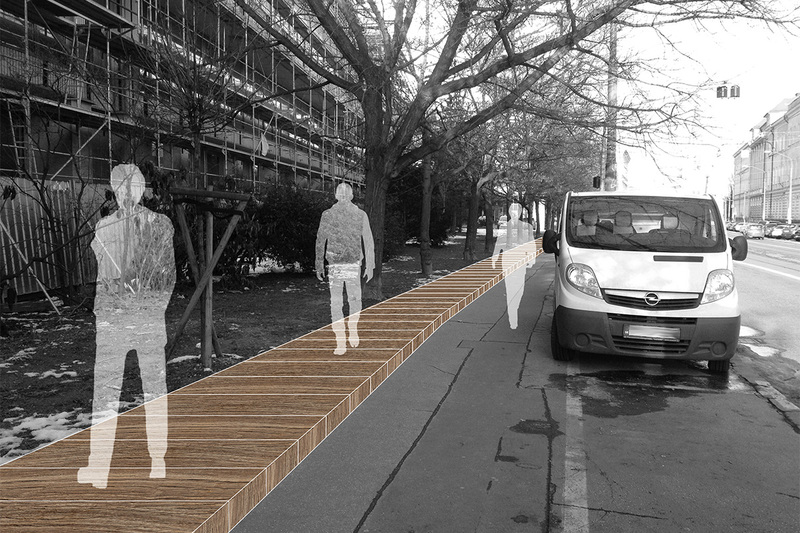 The urban intervention would consist of covering this particular part of the grass area with a simple walking platform, extending the sidewalk and thus letting the grass grow free of trampling.